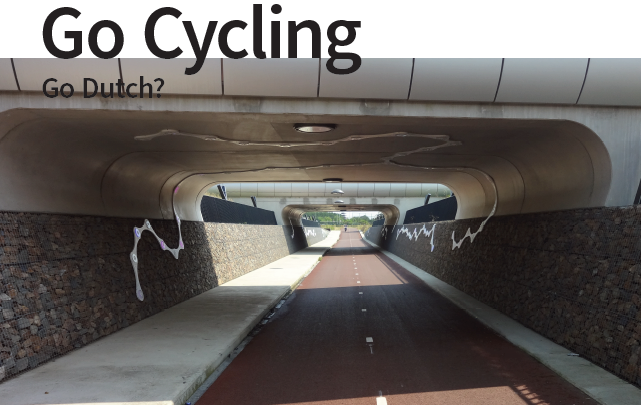 How the region of Arnhem/Nijmegen turned into a leading cycling region. The lecture will talk about the merits of living in a cycling city, the development of innovative cycling projects and it will give practical insights on creating better cycling environments. The lecture will also discuss the ‚freedom of cycling‘ which was the main theme of the cycling conference Velo-city 2017 (the world’s biggest cycling conference, that in 2017 was arranged in Arnhem/Nijmegen). It will give a critical sight on the realities of mobility, political power and urban planning in relation to cycling. Sjors van Duren works as a senior consultant for active transport at RHDHV, an international engineering and consultancy company. He has extensive experience in working with local, regional and national governments and is recognized as a thought leader on active transport and cycling in the Netherlands and abroad. In 2017 Sjors was the program director for Velo-city 2017.